If you’ve never thought about the importance of thoughtfully using and choosing keywords in the content you’re creating for marketing on the Internet, then this introductory lesson about keywords will be great for you. Or if you’re just getting starting with content creation for your marketing on the Internet, you will learn a useful approach to thinking about your keyword selection. The types of keywords you should use in the content you’re creating depend on your goal(s). They also depend on your customer. Know the customer (or business builder) you’re looking for before you start using keywords in your marketing. For the example of this blog, we’re going to say that you are marketing to other network marketers. Your ultimate goal is to sponsor another person into your network marketing business opportunity. How will your keyword choices reflect that? What language do other network marketers speak? Define the terminology. What keywords are especially used in relationship to the specific activity of sponsoring other network marketers into your network marketing business opportunity? How far can you drill down with this? In this example, I chose the multiple keyword “Sponsor More Reps.” Then I started to type that term into Google’s search engine. Notice how it provided more suggestions. Use those suggestions. Every industry; every company; every individual network marketing business builder requires a special language because each has its own standard terms and ideas attached to them. In other words, what keyword terms cover the language used by people who work in a particular area or who have a common interest? In this case, it’s network marketers. Begin by composing this language – speaking and writing the language as it’s generally used. The more you immerse yourself, the more you will acquire this language. 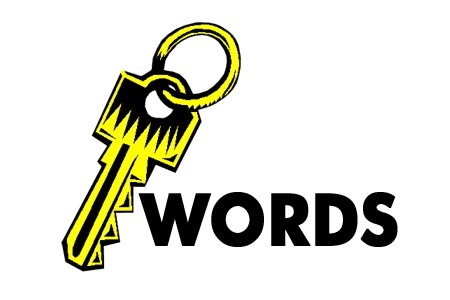 Keywords are the most basic, raw material used in Search Engine Optimization (SEO). You use Keyword Research tools to assist in helping you unearth your keywords. Using the keyword research tools, your goal is to build out a list of Keywords (search terms) that is comprised of the language that your target audience -in this case network marketers- use. Again, keywords can be just a single word, two or three words, and multiple words that are theme based. Frankly, single keywords can bring in huge traffic. 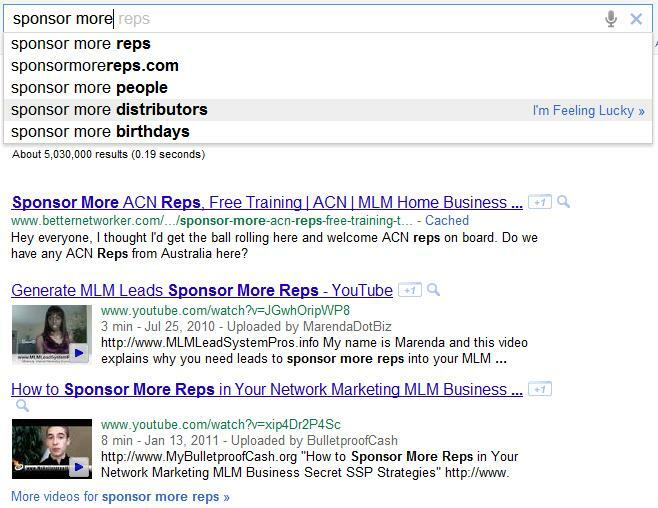 Just think if you were ranking #1 on Google for the term “Network Marketing.” That’s a lot of traffic. But the term “Network Marketing” is mostly not relevant these days. Searchers mostly use two or three keyword to find out their required information. Single keywords are known as generic keyword(s). It’s more of a general target audience. A general keyword is a good start, but doesn’t help to target a specific audience. More specific the better. So, single keywords are good for a “theme.” Our theme is network marketing. Note: Using your theme single keyword -tho competitive- occasionally throughout your content is a good practice. This is because the more content you add to your site, you will help qualify these single keywords and multiple keywords on a given post or page of your site. When using multiple keywords (such as a “network marketing leads generation” or “best mlm leads companies” the target is a specific audience. Not the general searcher. Multiple keywords are used to target specific traffic, which increases the potential of generating a lead that converts to a sale. You learned that keywords are the language of your target audience. Your goal is to define the terminology as spoken by the people you seek to attract. There are three classifications for keywords: single keywords, multiple keywords and keywords based on theme. as well as using multiple keywords. This is great information, Eric, Keep it coming! Martin, yep. We’ll have more info on keywords coming. This will be a series. Keyword research was an unknown entity when I first started my online university stint. I soon found out that it was the foundation for everything one does. So this series will be a great help for newcomers to get their feet wet and learn from someone who knows what he’s talking about. I love using long-tail keywords much more than the head keywords (general keywords). There’s a lot less competition for the long-tail keywords and you can tailor your content to the information people are specifically looking for. You can even look for “buying” keywords (in our niche anything that has the word “guide” “course”, etc is good to look at, combined with keywords) as you do keyword research. It is estimated that 70% of the people out there are trying to rank for the head keywords, which leaves the playing field wide open for those who are utilizing long tail keywords. Very powerful! But, as you rank in the search engines, and depending on your SEO strategy, your site’s age and authority, you CAN rank well for the competitive head keywords also. Thank you again, and blessings! Thanks for commenting Melissa. glad you found it helpful. yes it’s possible you’ve targeted the wrong words, or not the right “money” words. We’ll delve deeper into keyword research in posts to come. A neat little tool that I use for keyword research is called Market Samurai. Using that, along with creating back links and content has helped me to get my site to Number 1 on Google search results. Very important subjet, thanks a lot. I am building a WP blog, but obviously missing something—Traffic. Someone showed me that my keywords are not showing up in my Post source code??? Any thoughts of how to fix it? That’s not your problem George. For starters, you have to be precisely clear about the keyword phrase you’re going after. I visited your site and it’s not clear to me. Secondly, you’ll want to get quality back links to the post that contains the keyword you’re trying to rank for. Finally, you’ll want to make your own efforts to get eyeballs to your blog. Eric, your posts always have worthwhile information. Paying attention to the Google suggestions is a tip I will apply immediately. In addition to this, do you have a favorite keyword tool you like to use, or do you find the Google suggestion method adequate? On a daily basis, I use Google’s suggestions and the free Google keyword tool. For in-depth, “I-want-to-rank-for-this-particular-keyword” I use Market Samurai. I will cover all that too. Had to start here first. More coming soon, and thank you for your comment. Enjoyed the read. Still don’t know a long-tail from a short-tail keyword but trying to get the hang of it. Great tip on keyword you have here. The importance of keyword cannot be over-emphasized. I’ve learned something in this insightful post. Pls, I’ll love to read other interesting post on keyword as you’ve promised in the upcoming series especially on longtail keywords. Thanks. I’m gone to inform my little brother, that he should also pay a visit this web site on regular basis to obtain updated from hottest information.